Allegra Boverman/Gloucester Daily Times. 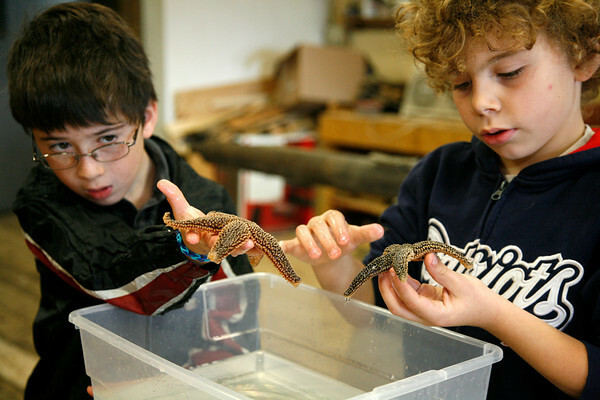 During a visit on Monday morning to Maritime Gloucester with their grade, West Parish Elementary School third graders Baret Buckley, left, and Silas Riemersma take a close look at sea stars. Students throughout the city elementary schools are visiting Maritime Gloucester for hands-on science and marine-related activities.